Your 8-day tour starts the moment you land in Tonga and we pick you up from Nuku’Alofa airport to transport you to our private guesthouse. 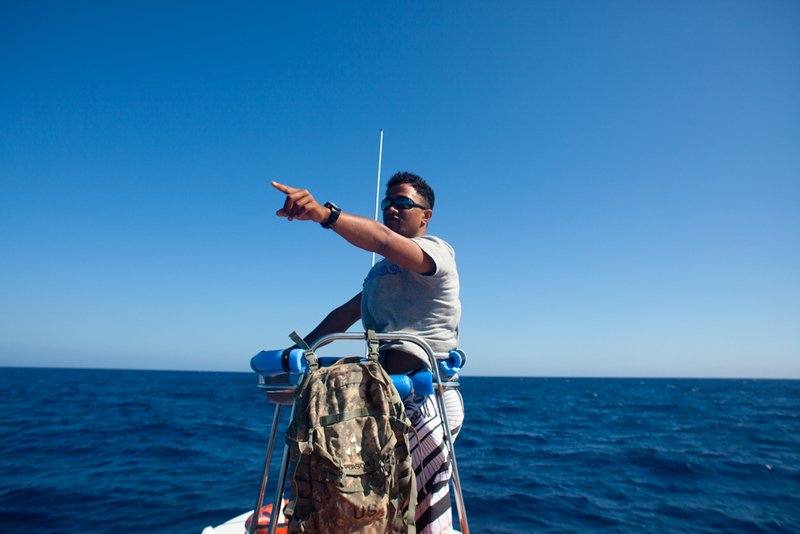 You will be led by our expert whale biologist guide, Dave Donnelly, who along with Tongan crew and hospitality staff will be looking after you during your stay. While it’s possible to go the whole week barely opening your wallet, we have two non-swim days, where you can explore including a couple of evenings to eat out (we can recommend a range of eateries to suit every budget). One of the non-swim days is the obligatory Sunday when Tongans are not allowed to work. The other will be the day we think is the least favourable for whale swims - on this day we arrange a supplementary cultural tour with our guides. For the most part however, we will be heading out about 8am to the harbour and boarding our vessel. 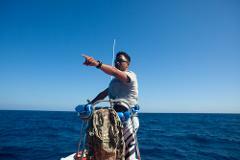 Under the careful guidance of our whale specialist, we will spend time looking for and learning about whales. Finding the right whales means getting the best encounters possible - and while we have had up to 15 swims in a day, sometimes a single swim can last hours. 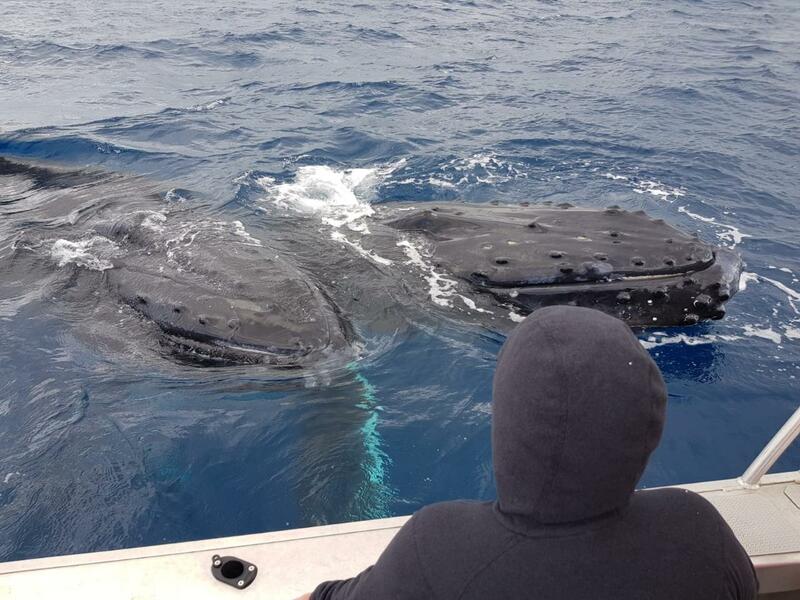 It just depends on the whales‘ mood and that’s where our experts make all the difference to your experience. By booking with us, you'll avoid the hustle and bustle of the other islands and get the chance to relax in the company of like-minded people with the experience, passion and commitment to deliver an outstanding experience without any hidden costs for you or the whales. This itinerary is indicative. 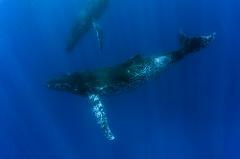 One of the non-whale swim days is the Sunday. 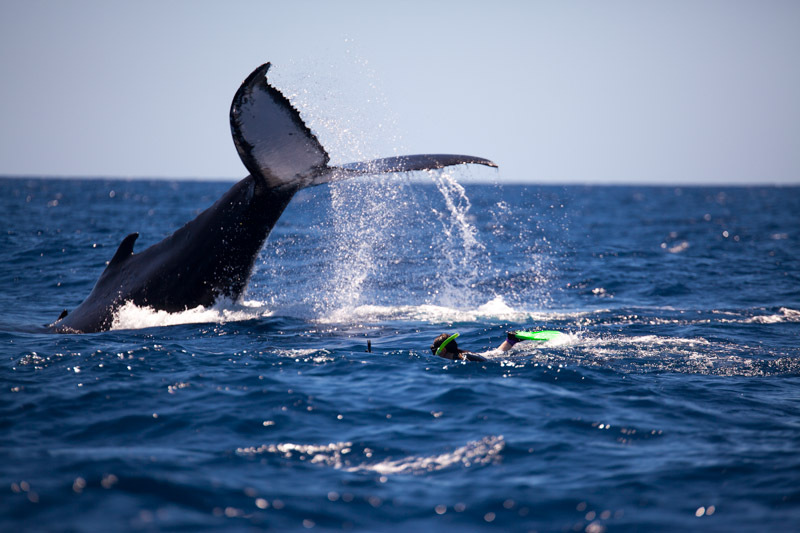 The other is the day we choose as the day with the least favourable conditions for whale swims, which is a day you can relax or take a cultural tour. Flights arrive in Tonga about 2am. You will be met at the airport. Expect up to 2 hours to clear customs, pick up luggage and transfer to accommodation (about a 30 minute drive). We will endeavour to have you in bed before 4am or as soon as possible. 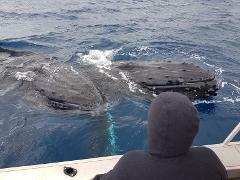 After breakfast we will head to the boat for your first exciting day with the whales! Breakfast starts at 7am. At 7:45am the bus takes us to the harbour where we board for our safety briefings for an 8am departure. 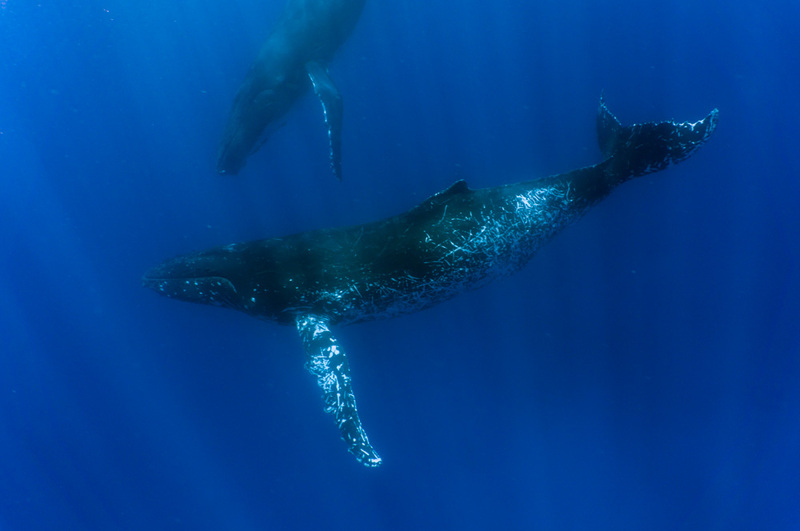 We spend the whole day looking for and swimming with whales. One of these days will be a non whale-swim day. You have the option of a day off / cultural tour (supplement). Dinner is at your own expense on the non whale-swim day. 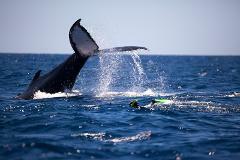 Wednesday (Day 7) - The final day is also a potential whale swim day as flights leave about midnight. On the last night we will eat together for a final farewell. After dinner, we will transfer you to a resort very close to the airport, giving you more time to relax in the morning. We will arrange your transfer to the airport for your onward flight. This is a rest day, for Tongan Cultural reasons. 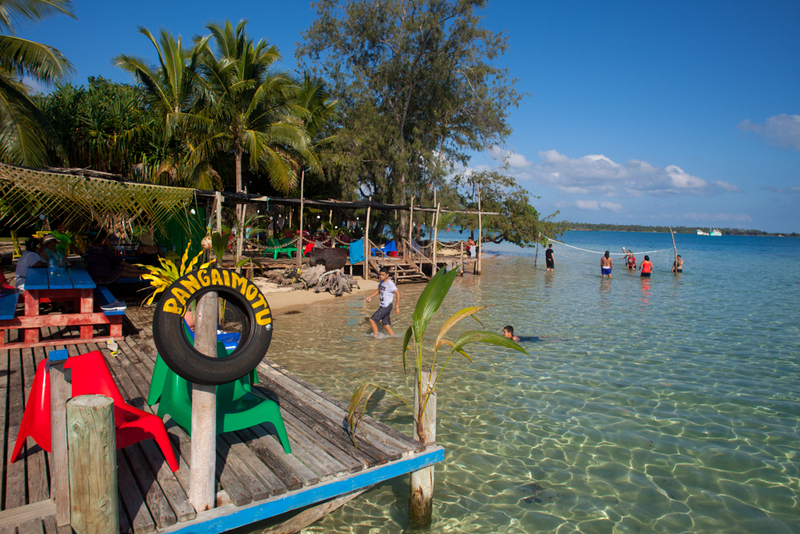 Optional Pangaimotu snorkelling trip. Sunday evening dinner will be at your own expense. Lunch on the non-whale swim day (options include eating in local eateries or buying food and making a small lunch in the accommodation or alternatively, included in the supplementary snorkelling tour). Lunch on Sunday (options same as the non whale swim day or alternatively, included in the supplementary snorkelling tour). If you would like to arrive earlier / leave later, we can organise additional nights accommodation for you. Final non-refundable payment 60 days in advance. For full terms and conditions including cancellation policy, see booking page. Credit card payments attract a surcharge. Please contact us to enquire about group bookings. 1. RESERVATIONS Reservations are confirmed on receipt of a non-refundable deposit of $A500 per person or per booking, or the amount specified on your booking. On receipt of your reservation form and deposit, we will, subject to availability, reserve your place on your selected travel module. Additional deposits may be required and will be advised at time of booking. Final payment of land costs are due at least* 60 days prior to arrival and all reservations will be cancelled if full payment is not received by the due date, with loss of deposit. On receipt of your payment, we will send tour information and vouchers. Please ensure that you receive the information before you travel. Bookings made at least* less than 60 days prior to departure must be paid in full. Due to time constraints, tour information and vouchers may be collected on the first day of departure with Wildiaries from its tour guide. These arrangements will be confirmed to you in writing prior to travel. 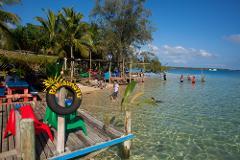 Every reservation amendment will incur an AUD$50.00 charge, subject to availability. Note that if travel documents have been issued, the fee will be AUD$100. *Special conditions may apply to some trips. You will be notified if this is the case. 2. CANCELLATIONS All cancellations must be made in writing to Wildiaries, and all tours are subject to the following cancellation charges based on the number of days before tour departure: Over 60 days: No refund of tour deposit Between 0 and 60 days: No refund of tour cost There is no refund for any unused portions of the tour once the tour has commenced. [Please note that if the reason for cancellation falls within the terms of any holiday insurance policy which you hold, then any such charges will normally be refunded to you by the insurance company, subject to the terms of your insurance]. Any cancellation fees imposed by hotels, ground operators or other principals or suppliers of goods and services will be charged to you in addition to the cancellation amounts stated above. 3. BAGGAGE Baggage restrictions may apply to charter air travel and small group tours and must be strictly adhered to. We recommend that you ensure you adhere to any weight restrictions indicated. 4. WILD ANIMALS Please be aware that travel may take you into areas of extreme weather conditions [eg. heat] or bring you in close contact with wild animals. Cases of dehydration and attacks by wild animals are rare, but no tour can guarantee that this will not occur. Neither Wildiaries, its contractors, agents or staff can be held responsible for any injury or incident on your tour. Neither does Wildiaries guarantee sightings of any wild animals, even if these are listed as animals possible to see on a tour. 5. PASSPORT, VISAS & DEPARTURE TAX The onus is upon you to ensure that passports and visas are valid. Wildiaries, their contractors, agents or staff cannot be held liable for any visas etc. not held by you. The onus is on you to ensure departure tax is included when the airline ticket is purchased prior to arrival in any country. 6. RESPONSIBILITIES Wildiaries, its contractors and agents act only as agents for the passenger with respect to services provided, including, but not limited to hotels, restaurants, touring, and all forms of transportation. Wildiaries shall not be liable for any loss whatsoever arising from any cause whatsoever, and without restricting the generality of the foregoing, shall particularly not be responsible for loss or damage arising from any errors or omissions contained in its brochure or other literature, late or non-confirmation or acceptance of bookings, loss or damage caused by delays, sickness, injury or death, whether occasioned by negligence or not. In addition Wildiaries shall have the right at any time at its discretion to cancel any tour or the remainder thereof or make any alteration in route, accommodation, price or other details, and in the event of any tour been rendered impossible, illegal or inadvisable by weather, avalanches, strike, war, government or interference or any other cause whatsoever, the extra expenses incurred as a result thereof shall be your sole responsibility. Wildiaries may at its discretion and without liability or cost to itself at any time cancel or terminate the passenger’s booking and in particular without limiting the generality of the foregoing it shall be entitled to do so in the event of the illness or the illegal or incompatible behaviour of the passenger, who shall in such circumstances not be entitled to any refund. The person making any booking will, by the making of such booking, warrant that he or she has authority to enter into a contract on behalf of the other person/s included in such a booking and in the event of the failure of any or all of the other person/s so included to make payment, the person making the booking shall by his/her signature thereof assume personal liability for the total price of all bookings made by him/her. 7. CHANGES TO SCHEDULES Although every effort is made to adhere to schedules it should be borne in mind that Wildiaries reserves the right to alter any tour arrangements due to local conditions while providing similar tour inclusions. 8. REFUNDS Whilst Wildiaries uses its best endeavours to ensure that all anticipated accommodation is available as planned, there shall be no claim of any nature whatsoever against Wildiaries for a refund either in the whole or part, if any accommodation or excursion is unavailable or the passenger was unable to use that service. [Please note that if the reason for cancellation falls within the terms of any holiday insurance policy it is your responsibility to refer the matter to your insurance company to seek a refund]. 9. INSURANCE You must take out comprehensive insurance cover before travel for cancellation, medical expenses, personal baggage and money. This should be arranged at the time of payment of the deposit to cover you for cancellation at that time. 10. PRICES We will do the utmost to keep to the prices published. Should increases be forced on us by tour operators, etc. Wildiaries reserves the right to surcharge without notice. All tour costs are based on all known costs at 1 April 2014. 11. This agreement is made subject to and shall be governed by and construed according to the laws of Australia. 12. Wildiaries cannot be held responsible for any inaccuracies or changes which may occur after that time. All materials contained in any brochure and web site including text, maps, graphics and photographs remain the property of Wildiaries and may not be copied or reproduced. 13. Clients with special dietary problems are advised to warn us in advance of departure. 14. For flight information on how to get to the starting point of your tour, contact your travel agent. Please ensure that you re-confirm all your flights prior to air travel. 15. It is vital that persons with medical problems make them known to us well before departure. The tour leader has the right to disqualify anyone at any time during a tour if he or she feels the tour member is incapable and/or if a tour member’s continued participation will jeopardise the individual involved or the group. Refunds are not given under such circumstances. The tour leader’s decision is final and neither Wildiaries nor the tour leader shall be subject to any claims or liability in respect of such disqualification. 16. MEDICAL & HEALTH Hospital facilities in remote locations are often unavailable and evacuation can be difficult and expensive. Wildiaries assumes no liability regarding provision of medical care. A Medical Certificate must therefore be filled out and returned to Wildiaries. If you are aged 65 or older, the Medical Certificate must be signed by your physician. Once you have been confirmed on a trip, normal cancellation penalties apply if your doctor does not approve the Medical Certificate. 17. CONSENT The payment of the deposit OR any other partial payment for a reservation on a tour constitutes consent to all provisions of the conditions and general information contained in this brochure. The terms under which you agree to take these tours cannot be changed or amended except in writing signed by an authorised officer of Wildiaries. PLEASE NOTE (a) Share Basis for Single Travellers Accommodations (both hotels and tented) are usually based on double occupancy. If you are travelling alone and wish to share accommodations, we will assign you a room-mate if possible. If there is no one with whom you can share, or if you prefer single accommodations, you are requested to pay a Single Supplement Fee. (b) Tour Information Whilst Wildiaries makes every effort to ensure accuracy in tour information and descriptions, we are reliant on the tour operators and accommodation providers providing us with accurate data. Since tour operators and accommodation providers are constantly changing facilities and services, we cannot be liable for any errors or omissions herein. If any feature is of critical importance to your holiday, it is your responsibility to ask Wildiaries to check whether such features will be available at the time of occupancy. NOTE: Payment of your deposit is acceptance of terms and conditions. I/we understand that by sending the deposit(s) on behalf of myself and everyone in my party is acknowledging that we have read and accept the Wildiaries Terms & Conditions.